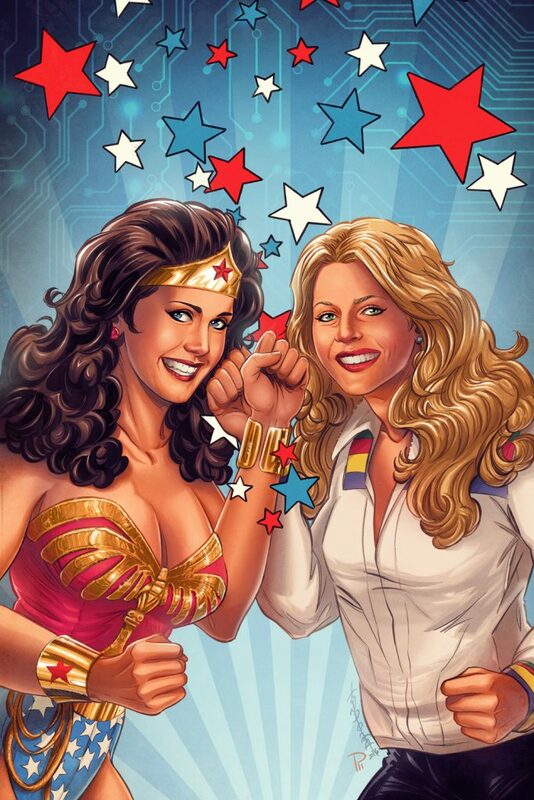 The work on the comic book series featuring the joint adventures of Wonder Woman and Bionic Woman has been started in 2016 by the well known pop culture guru Andy Magels who is known for his huge lexical knowledge. 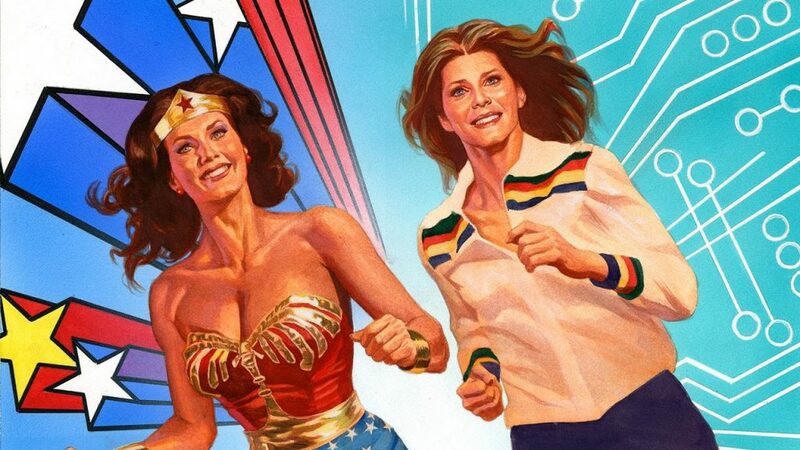 The writer, who worked, among other things, on the world of Star Wars, X-files and Star Trek franchises, added his creative ideas with remarkable success to another of his childhood favourite, the legend of Wonder Woman. Judit Tondora was the first artist who joined the project as penciler through her agent David Campiti from Glass House Graphics, and a little later Roland Pilcz also joined as a colorist. Judit and Roland have worked together for almost a decade on other projects and the end result on Wonder Woman – which eventually crowned almost a year’s work – proves this well functioning teamwork. The comic book was a joint venture of two publishers: DC (publisher of among others, Batman, Superman, Flash, and of course Wonder Woman) and Dynamite Entertainment (Battlestar Galactica, Robocop, John Carter, Game of Thrones, etc.) in the form of a six-issue mini series. 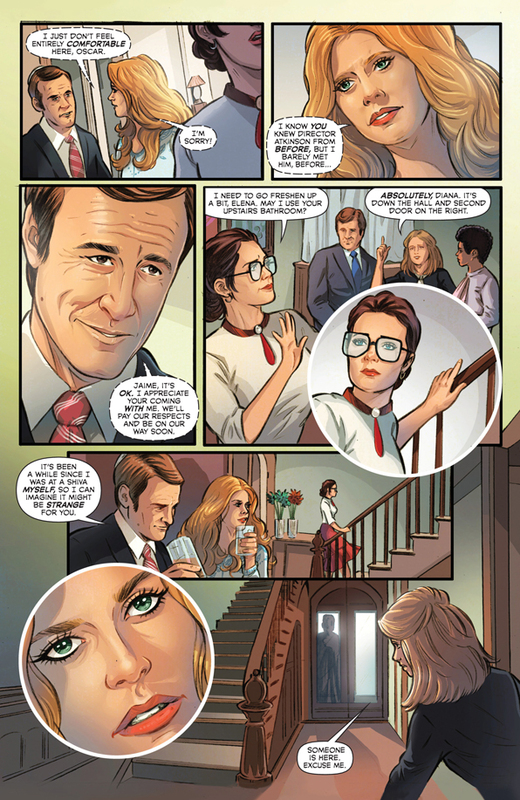 What is interesting about the comic book is that it takes place in the 70’s and operates with the elements and characters of the popular tv series from that time, as if this story were a joint adventure on the screens made at that time. Naturally this retro impression with all its charm is also reflected in Judit’s drawings, from flared trousers to microphone hair. The colors also reflect the world of the comics from 40 years ago rather than the darker, grim trend of the present ones. The 144 page-long omnibus was released in October 2017 and has received very positive reviews from both the industry and the readers.